Located in the trendy “Wyck” neighbourhood, Brasserie FLO Maastricht is the family’s trendy younger sister. 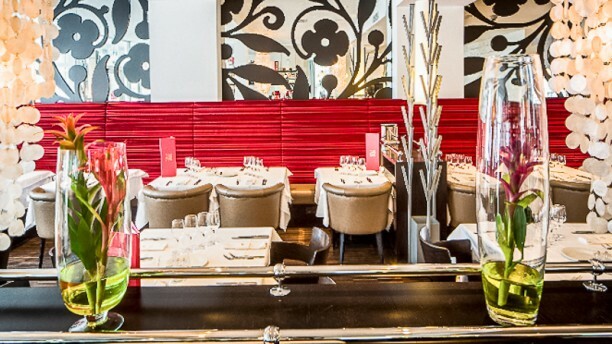 Although the design is contemporary and sleek, it is still, like the others, a true Brasserie FLO. A place where lovers of French classics can truly indulge themselves. With its famous seafood buffet, classic dishes on the menu, delicious wines, fantastic service and, above all, a unique French atmosphere. Steak tartare, côte de boeuf, bouillabaisse or crème brûlée? All the classics here are magnifique! Graag wil ik u, namens team Brasserie FLO bedanken voor uw mooie review. Een korte, doch zeer waardevolle "Top" beschrijft precies een avond zoals wij die voor al onze gasten wensen. Wij hopen dat u in de (nabije) toekomst weer aan ons denkt, voor een gezellig etentje buiten de deur. Nogmaals hartelijk dank en een prettig weekend gewenst. Good food and high standards in Brasserie Flo Maastricht. Fantastic service and fully booked. Thank you very much for the time and effort you have taken, to leave a great review about our restaurant. Fantastic service and high standard, combined with amazing food is what we stand for at FLO Maastricht. We hope you will visit our restaurant again, upon your next visit to Maastricht. A massive "Thank you" again and we look forward to welcoming you again. Ieder jaar een voltreffer. Flo super lekker. We enjoyed a lovely evening with delightful food and most importantly a team of wonderful people from Flo that really made our evening with their dedication, enthusiasm and sense of humour. We recommend this restaurant highly and will certainly return in the near future! Good 3 course quality food! for a big guy like me portions could be bigger but for my wife it was perfect! The first two dishes and staff were excellent. The desert was a a bit disappointing. We had the chocolate chip sundae. The biscuit was freshly baked but far too sweet and the banana marmalade was not necessary.